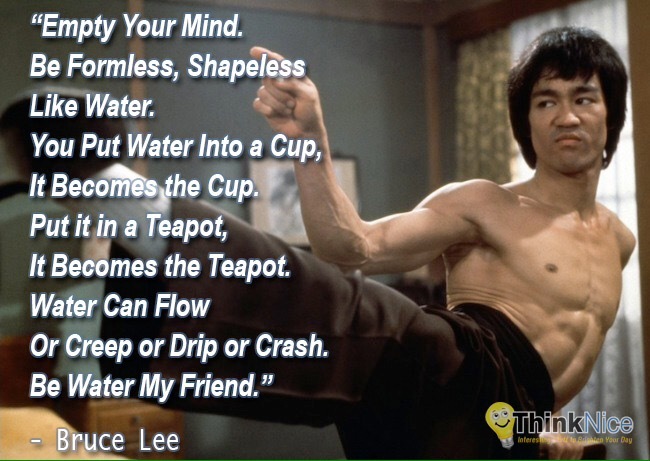 Bruce Lee once was quoted during an interview talking about how water becomes the shape of its surroundings. It is smooth, and refreshing. But, I want to caution you against too much of a good thing. Even water, though it be smooth and cool, flowing like a river over time, it can erode even the harshest of rocks. It can turn the sands of time into dust. Be like water, my friends, but be careful to not erode the beauty and strong structures placed in your life for protection.